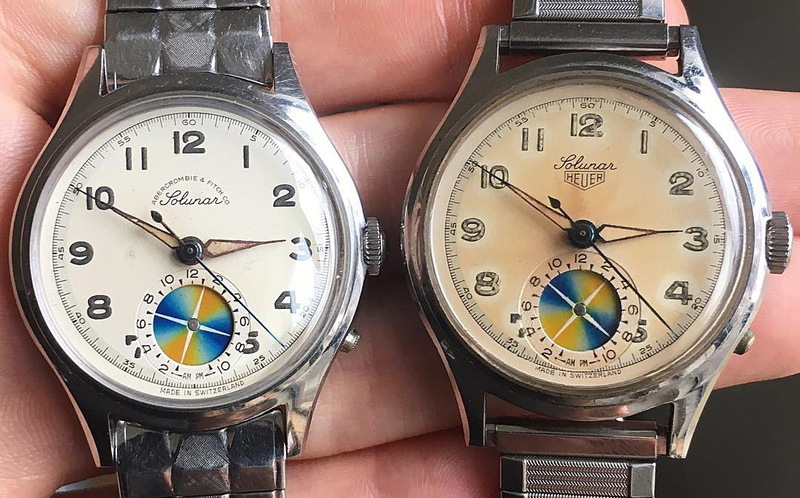 Interesting to see the differences in aging between the Abercrombie & Fitch and Heuer models. Thanks to Justin at watchsteez.com for permission to use this amazing photo! !